Rare Art Deco ebony of Macassar and mahogany library,, opening with two solid doors framed by two open niches, resting on a double base flanking ribbed doucine. Removable doors to form a bibol. 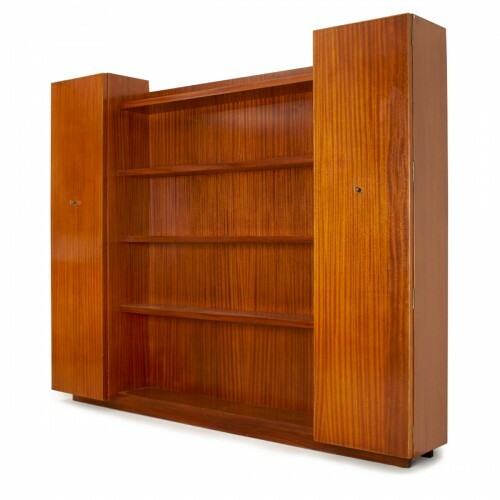 Shelves in solid mahogany veneered in ebony macassar on the songs. Fluted strips on the base and the cornice. Original lock secured by a barrel. Restoration on an interior bottom panel and two shelves.